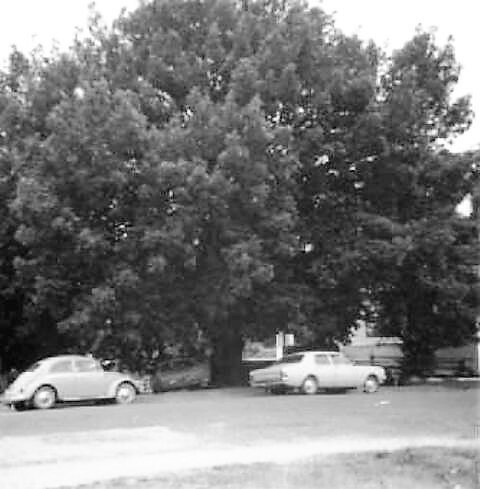 Some History of the Oak Tree next to the Blackwood Hotel. Compiled by Margot Hitchcock, Historian for the Blackwood & District Historical Society. May 2017. Photo of oak tree taken my Margot Hitchcock when registered for the National Trust Significant Trees Register in 1982 by Margot for the Blackwood & District Historical Society. 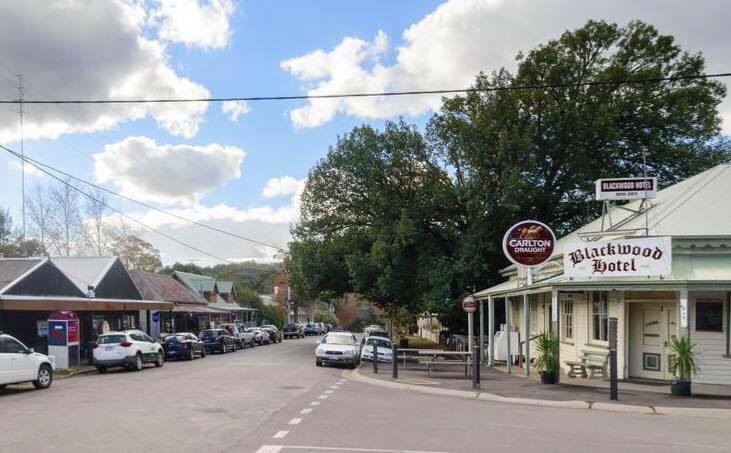 The Cann story of the Cann family owning the Hotel was written up by Frances Dillon (Nee Matheson) and published by Robina Brown in the August/September 2005 to December/January 2006 of the then Blackwood Times magazine. Frances told me – “As had been told through the generations of the Cann Family, the large Oak Tree next to the Hotel today, was planted on Rebecca Cann’s 50th Birthday which was on the 27th of August, 1894. Rebecca’s daughter, Lucy May Kinnear Cann, then eighteen years of age, planted the tree. The occasion was celebrated with a grand party held in the hotel at the time. Rebecca Perry (Cann) was born on 27-08-1844 in Hobart Town, Tasmania.”. Prior to this the Blackwood & District Historical Society registered the tree with the National Trust’s Significant Trees Register with myself and Penny Garnett in 1982 and the information Penny provided was – “Quercus Oak Tree planted 27 August 1908 by George Carruthers on the 50th birthday of Rebecca Perry Cann – owners of Cann’s Family Hotel – husband John Cann Owner and Licensee. The tree has been preserved by Cyril Jones and his family who owned the land and they have retained and not sold the land, as they did not want the tree cut down if new owners wanted the land for building purposes. Frances also said – “Cyril Jones together with his daughter Faye can be certainly credited with caring for the tree. At the time of doing all my research on the tree Faye put me in touch with Trevor Lawrence, the arborist that she had looking after the tree. He did work for the National Trust. Also, he told me that the tree was an “ALGERIAN OAK TREE”. So according to this, it is not a ‘Quercus Oak Tree’ as registered with the National Trust’s Significant Trees Register. Oak tree next to Blackwood Hotel from old post card. 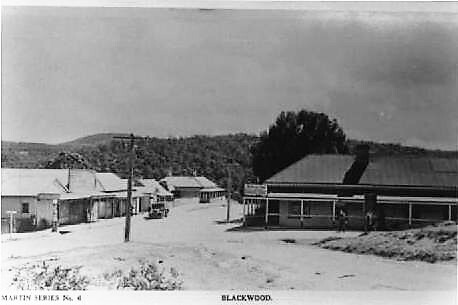 Recent photo of the Blackwood Hotel with the old Oak tree behind it. A good place to view to tree is while eating lunch on the Blackwood Hotel veranda, and feeding the kookaburras.